The Mamos® is a high quality stationary monitoring system for the measurement of up to 8 gases as well as gas temperature, ambient and differential pressures (Gas Flow). The Mamos® suits a large field of applications including but not limited to Biogas plants, Biomass reactors, landfill, incinerators, wastewater treatment plants…. 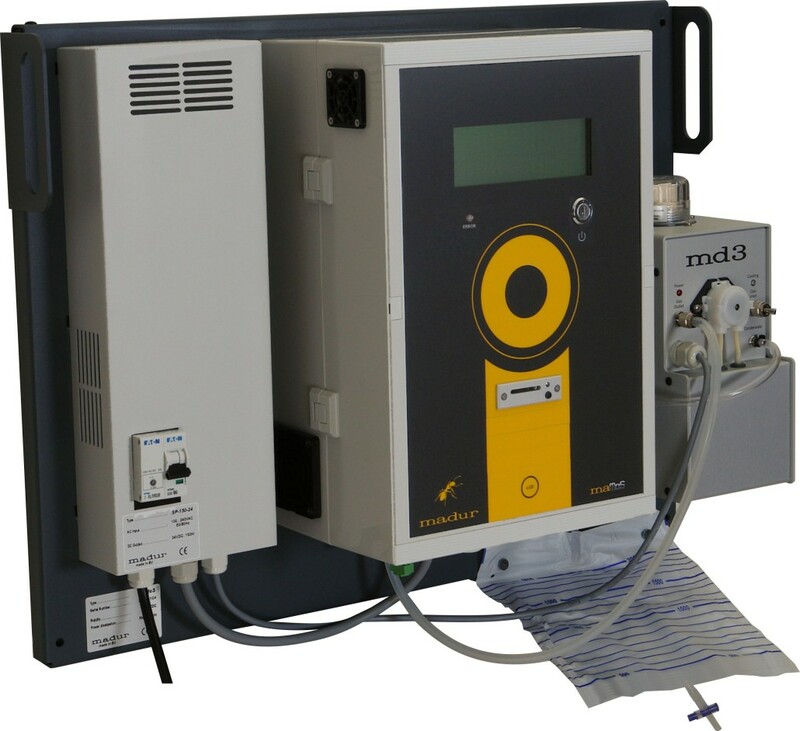 Designed by Madur to optimise performance/price ratio, small in size and yet very skilful analyser, the Mamos® is the cost effective alternative for large, intricate Continuous Emissions Monitoring Systems providing plant operators with application specific features, accuracy and reliability. Depending of the gas matrix and components to be analysed, the Mamos® can be fitted with up to 8 different sensors. The combination of technologies (NDIR, TCD, PID, Electrochemical) and the addition of separate gas channels into the same instrument empower flexibility in multigas applications. A unique feature is to allocate a gas channel to sensible sensors. Its design ensures the cells have a limited exposure to gases and therefore extends considerably their respective life-time. The Mamos® is a compact system delivered ready for installation. Thanks to its small size, the system is easy to locate, install and set-up. The routing of the cables and tubes to the instrument is simplified with all gas and electrical connections grouped onto a single interface plate. 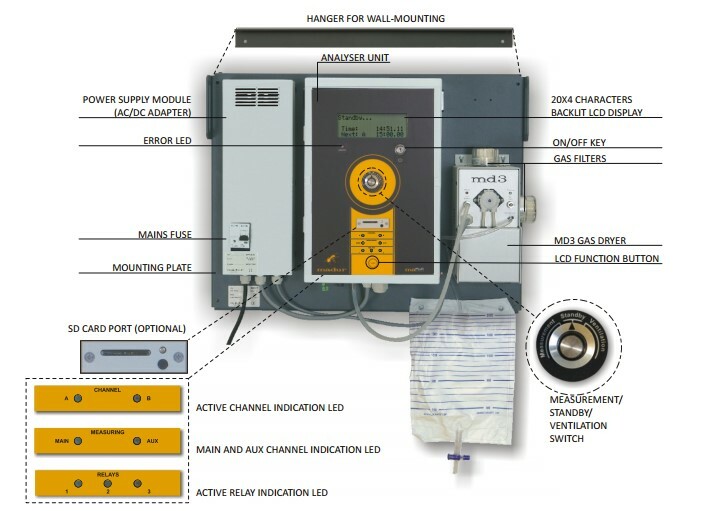 The Mamos® sampling system configuration can be adapted to specific monitoring needs such as multipoint monitoring, redundancy, continuous or time set measuring cycles… When sampling from wet and hot gas, moisture content, condensates and salts are continuously removed by the use of one or several gas dryer(s) (Peltier or Nafion) equipped with built-in safety filter, condensate trap and safety inline particulate filters. Whether the Mamos® uses the built-in sampling pump or the pressure from the source, the analyser is designed to work with overpressure. Single gas channel configuration can handle overpressure up 1.8 bar. The Mamos® powerful and pleasant PC interface provides operators and system integrators with a broad range of settings to adjust many aspects of the measurement tasks such as automated sampling, calibration, purge sequences, analogue outputs behaviour, data presentations… For large sites with complex monitoring requirements, the LAN and ModBus interfaces allow implementing in an efficient way large instruments networks with master/slave configurations and user settable monitoring functions. The Mamos® offers multiple sensor and method configurations. Here are the measuring parameter for the most common gases. For other gases or different measuring ranges (MR), please consult us. The Mamos® stationary gas sampling probe has a modular design to fit most of CEMS and Process applications. The Probe configuration can be adapted to the sampling conditions and environment (gas temperature, dust load…). The Mamos stationary Gas sampling probe features insitu sintered stainless steel filter, Gas temperature measurement with K-type thermocouple, backflush valve (manual or automatic)to blowback the filter. The Mamos stationary gas sampling probe is typically flange mounted directly onto the sampling duct. 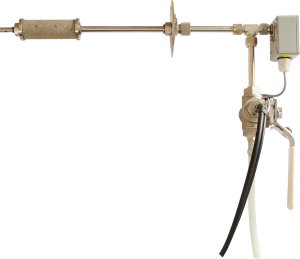 Once extracted the sample is then directed to the gas conditioning system through heated or unheated sampling line. 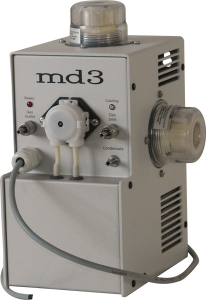 The Mamos® MD3 Gas Conditioning unit is equipped with a condensation dryer based on the Peltier element, built-in peristaltic pump for condensate removal, and large surface particulate filter. 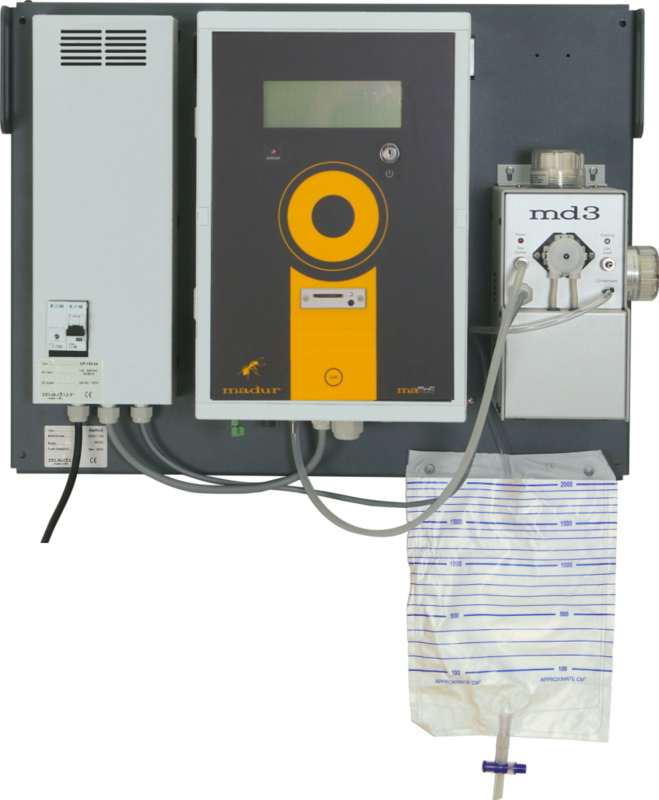 The Mamos® MD3 gas dryer can be supplied mounted onto the same plate than the Mamos gas analyser or mounted on its own plate with its associated power supply. This allows locating the Mamos® MD3 gas conditioning unit located directly at the sampling point. Standard configuration consists up to 6 sensors (NDIR and/or electrochemical) – Up to 8 sensors in an extreme, unique configuration. Large display with backlight, 4 lines x 20 characters. Different types of gas dryers to fit the customer’s needs. Application specific features and configurations (BTU, compensation, velocity). Large selection of IO options. Data-logger with SD card for results’ collection – Communication with PC via different interfaces (USB, LAN, RS485 and MODBUS). Various operation modes: continuous measurements, time based, controlled with digital input, redundancy and multistreams monitoring. Powerful PC program to adjust the analyser’s settings and to view the results. Large range of add-ons and accessories. Mamos® Twin Split Version is a Cold Dry Multipoint CEMS which uses two MD3 dryer with their own power supply added on separate mounting plates enabling measurements from two different locations (each dryer is installed near the sampling point). User programmable sampling sequences. 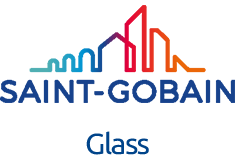 Process gas and emissions monitoring in combustion plants, boilers, syngas, biogas, waste recycling facilities (Waste to Energy) and associated filtration systems are typical applications for the Mamos® multiple gas channels configuration. “Landfilling” is the main method for disposal of municipal and household solid wastes or refuses in Australia. Although maintained in an oxygen-free environment and relatively dry conditions, landfill waste produces significant amounts of landfill gas (mostly methane). The Mamos enables process and air pollution emissions monitoring from solid waste landfills. Landfills operations require the control of methane CH4 and non-methane organic compound emissions (NMHC) emitted as well as an accurate online monitoring of the gas composition (CH4, CO, CO2, H2, H2S and O2). This effectively requires the collection and combustion of landfill gases. So, a good solution to the landfill gas problem is to collect it and use it to produce electricity. Landfill gas (LFG)entering the gas sampling system is saturated with water, and that water must be removed prior to further processing. The typical dry composition of the low-Btu gas is 57% CH4, 42% carbon dioxide, 0.5% nitrogen, 0.2% hydrogen, 0 to 1000 ppm of H2S and 0.2%oxygen. In addition, a significant number of other compounds are found in trace quantities. These include alkanes, aromatics, chlorocarbons, oxygenated compounds, other hydrocarbons and sulfur dioxide. In biotechnological processes, the detailed monitoring of the fermentation product, in this case biogas, provides valuable information. 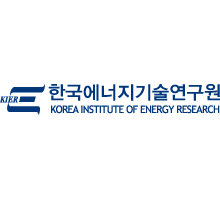 Therefore, it is recommended to monitor both the volume of gas produced and the gas composition. With regard to process monitoring, a change in either gas production or gas composition can be an indicator of process imbalance. CH4 and H2S measured during the methanation process give a good overall view of the performance of the degradation process and bacterial activity. A decrease in methane content can be a first sign of organic overload, provided that the feedstock mix has not recently changed. Similarly, a sudden increase in H2S can provoke process instability. Accuracy and high reliability in harsh conditions of operations makes the Mamos® a powerful optimisation tool for waste recycling facilities (incinerator, water treatment plant). SCR and SNCR Selective non-catalytic and catalytic reductions are designed to reduce the emissions of NOx by injecting ammonia is directly injected at the combustion chamber exhaust. This process causes the nitrogen oxides to react with the ammonium and turn into nitrogen and water. 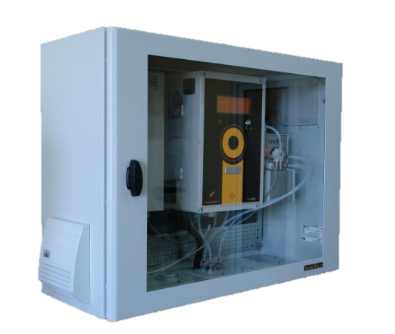 The Mamos® is suited to upstream and downstream SNCR/SCR monitoring and provides plants operator with accurate data to control NOx regulatory emissions while optimising the denitrification process with upstream NOx measurements. GTC and flue gas scrubbers reduce the emissions of acid gases such as SO2 with pulverised lime powder or solutions while the discharge of heavy metals and organic pollutants is controlled with the addition of activated carbon. Online monitoring of O2, SO2 upstream of the GTC allows reducing the quantity of reagents injected. 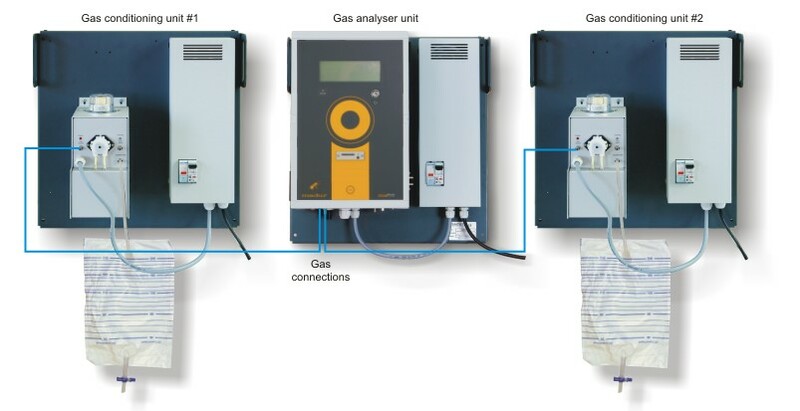 The use of process gas online monitoring systems at locations such blast furnace gas outlet, converter off gas exhaust and coking gas outlet is very reasonable in order to analyse the fuel gases composition by measuring the concentration of CO, CO2, O2, N2, CH4, and H2. There from the calorific value BTU and the Wobbe Index WI can be accurately calculated. Modern steel plants uses dedicated stationary online monitoring system to monitor the primary constituents of Direct Reduction Iron process gases essential to have a full understanding of the process status and efficiency.